The recipe for Claire’s Birthday Blueberry Tartlets was released in 2014 just in time for my summer eats, treats and desserts e-book. One of the ingredients in this recipe is almond meal, so now would be a good time to remind you of the differences between almond meal and almond flour. They are not the same, and many times if you use one when you should have used the other, your recipe won’t turn out. That happened to me when I made this once. Learn all about it in grain-free baking: blanched vs. unblanched nuts. Her name is Claire. She’s a little darlin’. It was her 3rd birthday. Her mommy wanted something gluten and dairy free for her. It had to be special, though…. Claire was having a brunch tea party with all her miniature friends. Miniature, simple, gluten and dairy free was what I created. Delicious and pretty enough for a 3-year old tea time birthday party is what she got. 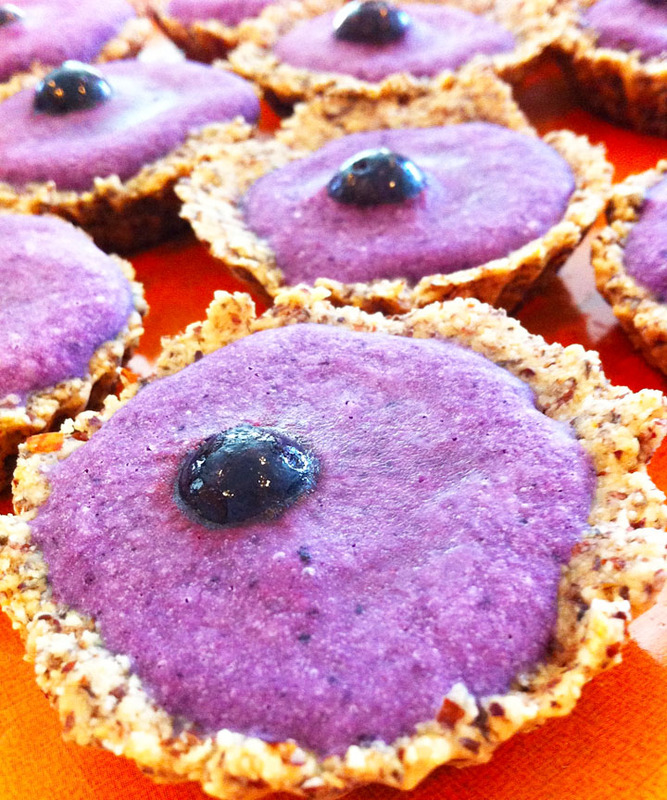 Gluten, grain, dairy and soy free blueberry tartlets for a birthday or tea party built with all ages in mind. Mix egg and vanilla extract together in a separate bowl. Add melted coconut oil to dry mixture. Then, add the egg/extract to the dry mixture and stir by hand. 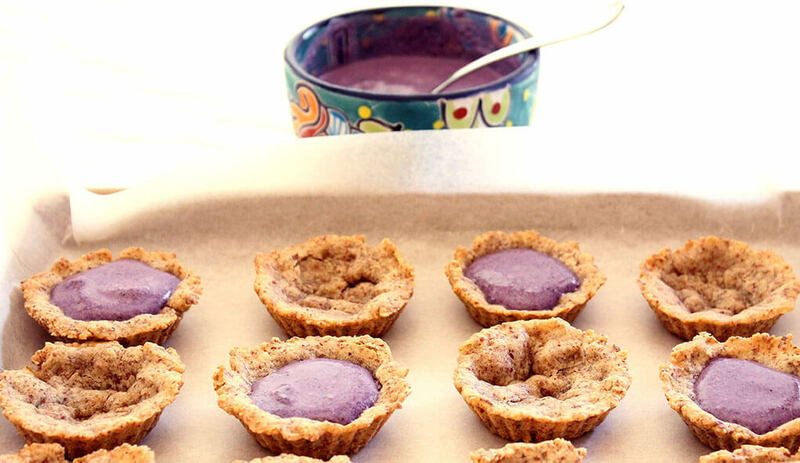 Brush your tartlet pan with coconut oil. Meanwhile, mix all the ice cream ingredients together in a blender. Place the “ice cream” in the freezer for about 15 minutes to chill. Once the crust is done, take it out of the oven and let cool completely. Remove crusts from the pan, take your ice cream out of the freezer and fill the tartlets as full as you want (I placed mine on a cookie sheet covered with parchment paper). Top will a blueberry, raspberry or strawberry, if desired. Place back into the freezer until you’re ready to serve (allow to unthaw a bit prior to serving). p.s. 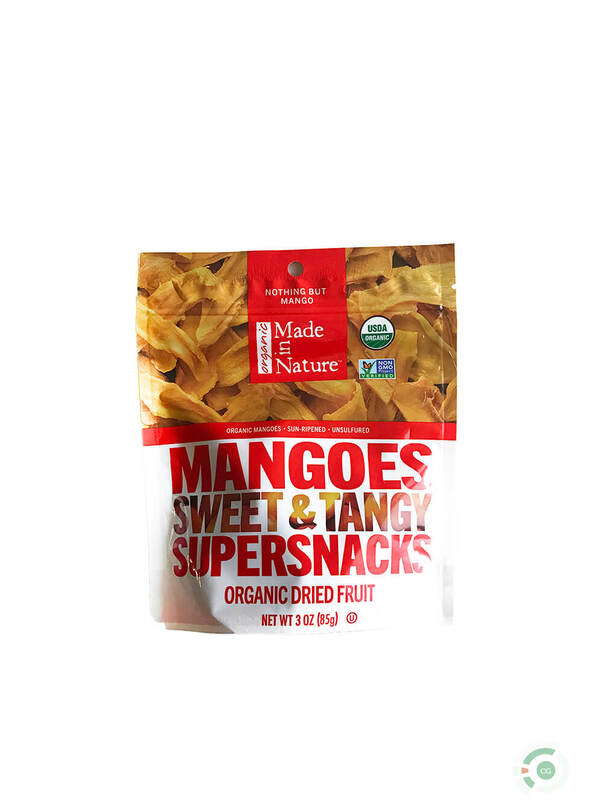 These are gluten, grain, dairy and soy free plus free of all chemicals, preservatives, and additives. Want more delicious summer eats, treats and desserts recipes? Click HERE to grab them now! 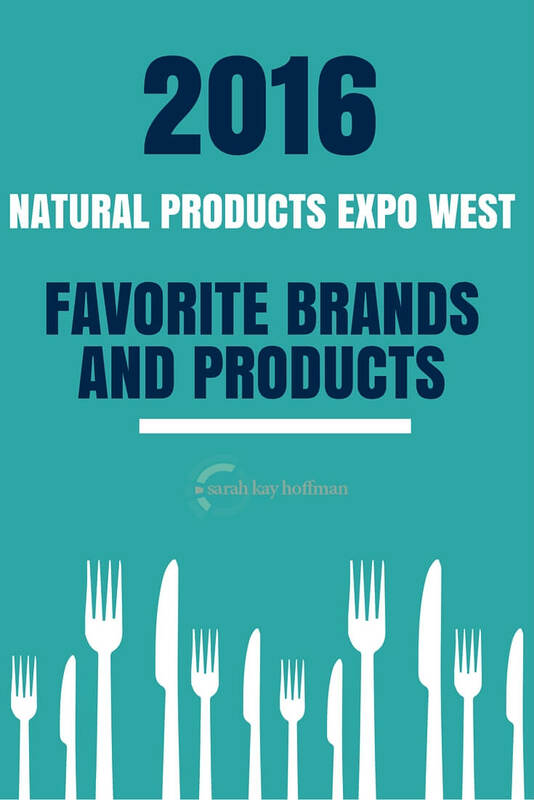 I attended the 2016 Natural Products Expo West this year for the 3rd time on the official blogging team, and even though my top 3 products from the show were announced recently, today I have put together my 2016 Natural Products Expo West favorite brands and products. But first, my general show thoughts…. Gut health is becoming more and more talked about, appreciated and focused on. YAY! All these years of being A Gutsy Girl, sharing information and caring excessively about the topic might finally start to pay off. A ton of granola and granola snacks, making me wonder if the category is flooded? But, by far, my main overall recap thought and ah-ha moment came when I found myself perusing booth after booth and hearing companies utter phrases like, “100% natural, super clean, healthy.” I would then simply pick up said “100% natural, super clean, healthy” product and check out the ingredients, only to feel let down. 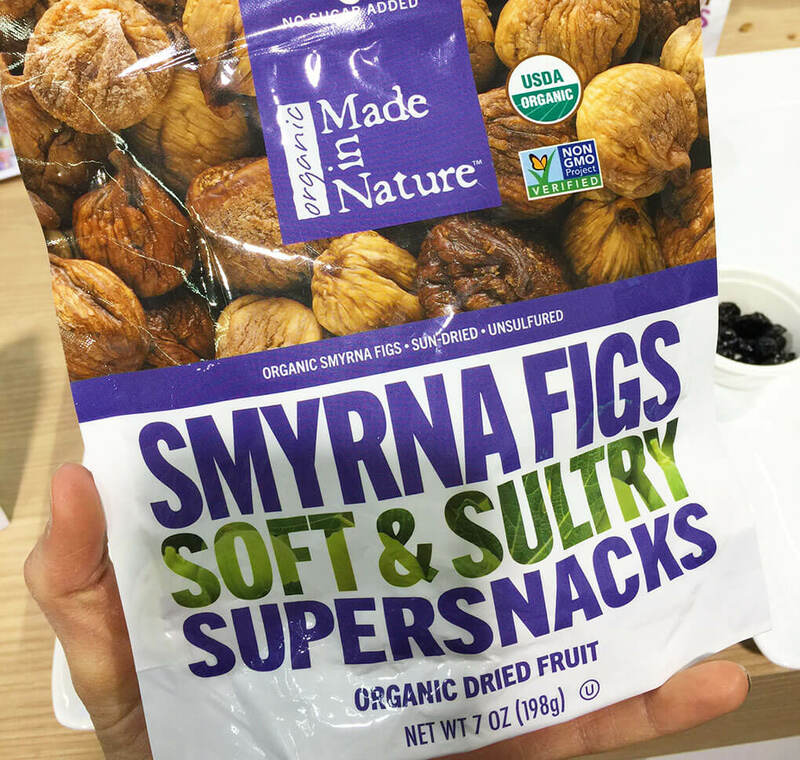 Ingredients don’t lie, and the use of buzzwords are confusing consumers. During all of those moments (because most of the times were convenience/packed goods), I decided to launch The Gutsy Girl’s Bible: a travel and convenience snack guide companion. The project currently hosts over 150 items….and I would guess it could hit 300 or more! HERE was my pre-Expo hot list. Charlie Banana: I met Gaelle, the founder and owner, and fell in love with her. 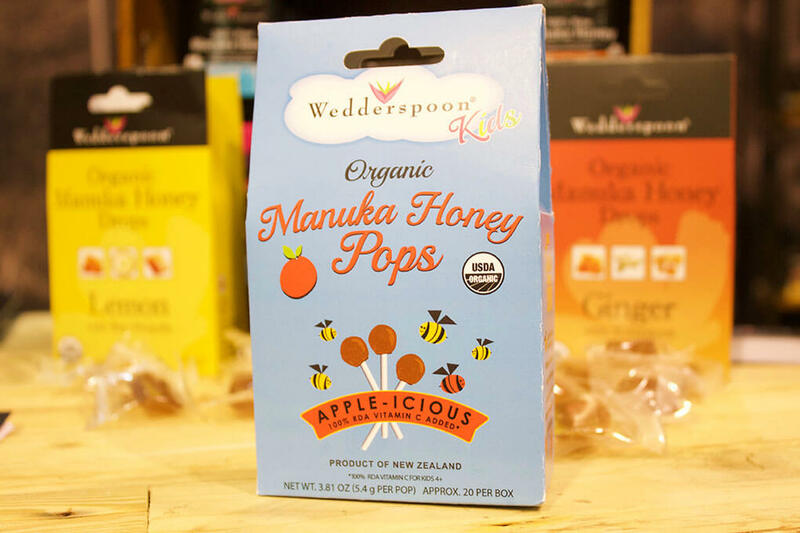 Wedderspoon Organic: Traveling honey packets, pure and awesome as can be, need I say more?! 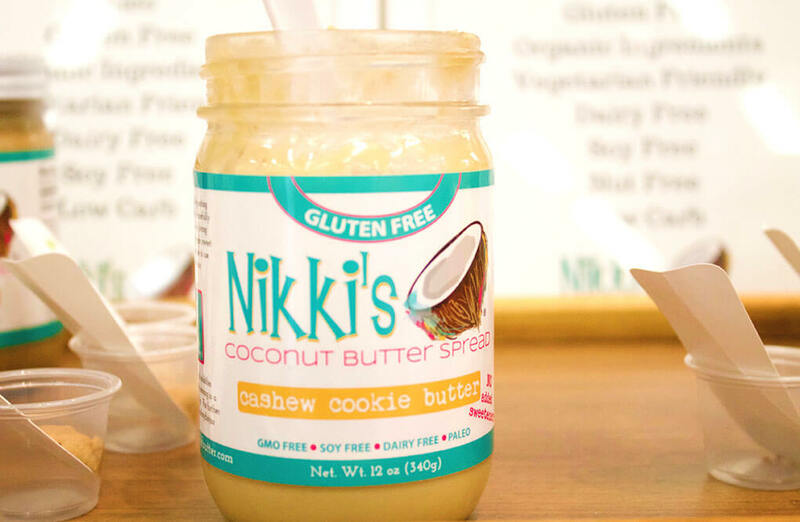 Nikki’s Coconut Butter: I’m embarrassed to say that she’s a friend, but I had never even tried her coconut butter before. I am officially addicted to that Cashew Cookie Butter. 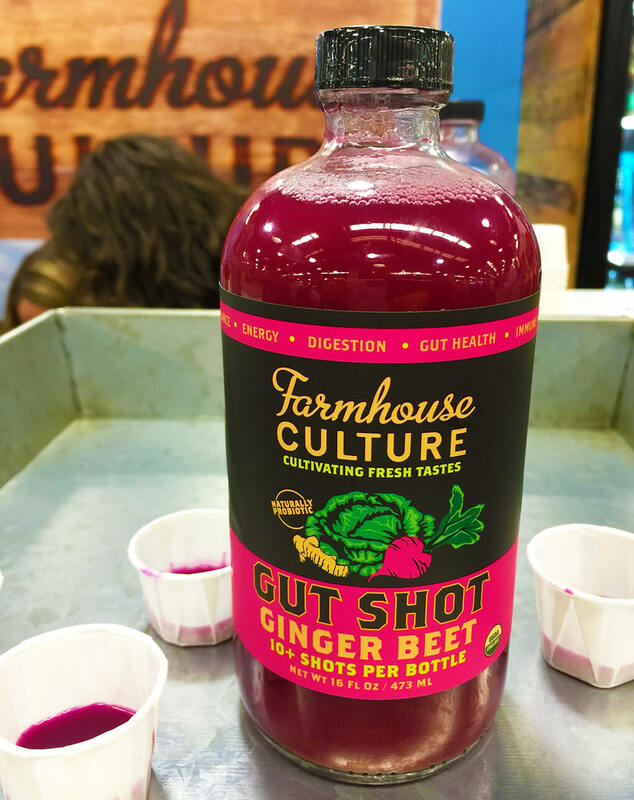 NOW Foods: If you’ve followed here for any length of time, you know I love their L-Glutamine for gut healing, but I was introduced to a new (traveling) probiotic that I’m excited to share more about soon! 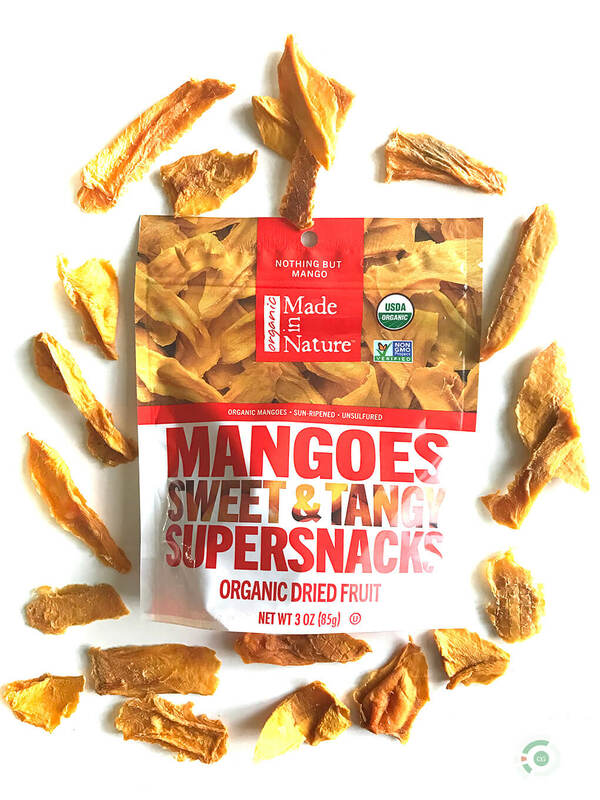 Made in Nature: I had always seen them as a snacking option around, but never considered them….until now! They will be heavily featured in my guide because they are that awesome. 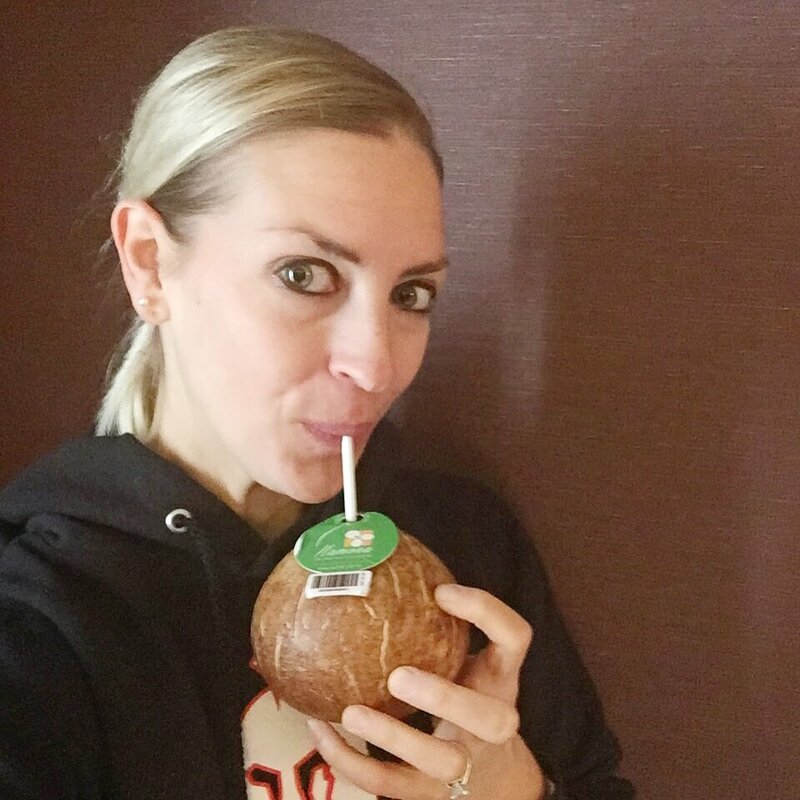 Hamona: I really wanted to give them one of my top 3 spots from Expo West, but in the end, I decided it would be too hard because they are in Vietnam and the product is still not available here, but it’s a whole coconut with a little punch for a straw to (easily) drink straight from the coconut. They were friendly and awesome and when they come here I’ll be sure to let you know. 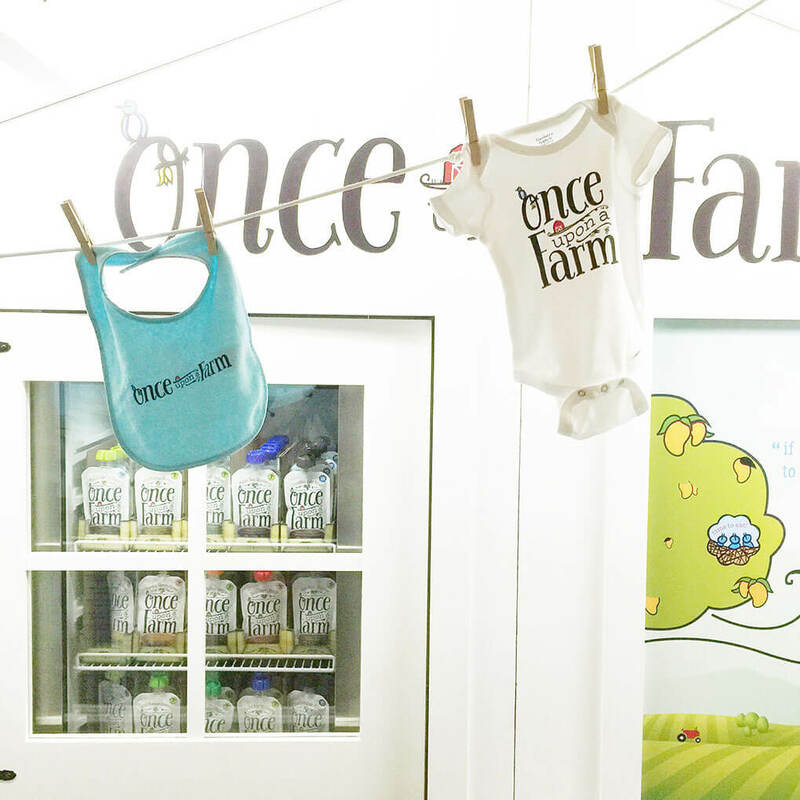 Once Upon a Farm: Children’s pouches that I’d eat! RESTORE: Shortly before attending the show, a reader commented on the post wondering if I’d check them out, so I did and after I learned a ton, watched videos, spoke with the creator and tried the product, I can say I recommend it. I will hopefully get to share more with you soon. Thousand Hills Cattle Co.: But those grass fed beef sticks, though! Here’s the kicker, I don’t have access to them in California, apparently, but they are based in the homeskillet Minnesota and the guy told me that my family can get them at the Waseca Hy-Vee! How awesome is that?! 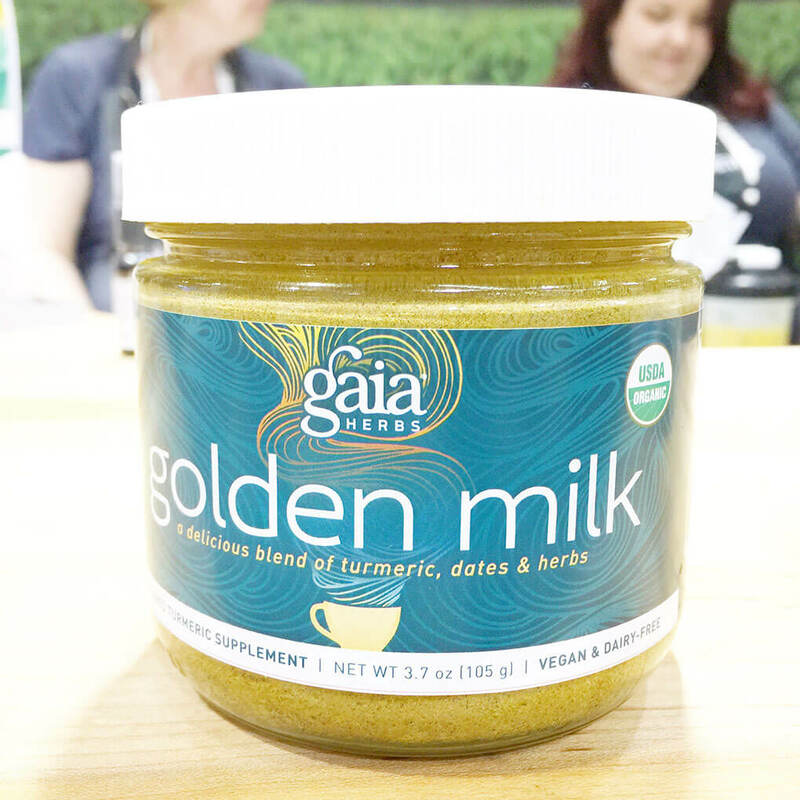 Gaia Herbs: at Expo West, they released a brand new product, Golden Milk. They served it blended in with warm almond milk and I was blown away. (Hopefully) stay tuned for more. Did you attend the show? What were your favorites? Are there any of these products you’d like to know more about?! p.s. Reading this in 2017? Check out my Top 15 Overall Expo West 2017 Finds. Mama name calling is rarely welcomed. Yesterday I was called something that I don’t think I’ve ever been called in my life, nor did I ever think I’d be so excited to be called in my life. Can I just tell you how many times I’ve been told how “annoying” I am because of the ways in which I choose to feed my children? My conversation with the woman above revolved around the idea that once we get/adopt our children, I make it a priority to restore their guts to give them the best chance at health possible. There are two critical ways that babies enter the world and begin their lives with optimal gut flora: via vaginal birth and via breastfeeding. Neither of my children were born that way (nor was I). Both of my children began their lives with formula, where the first ingredient is corn syrup (I die a little inside each time I read those words on formula packaging). 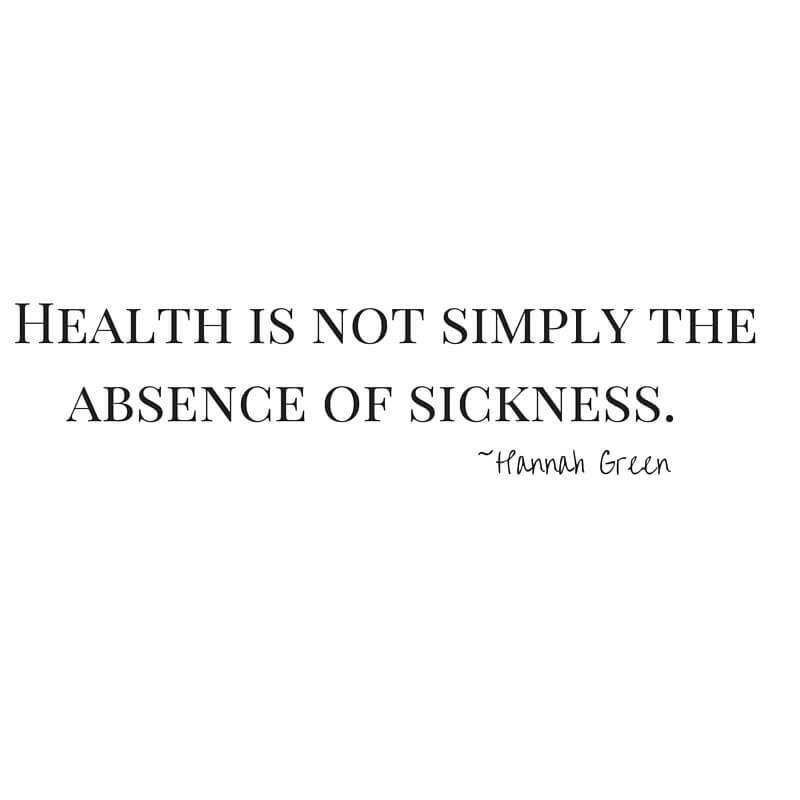 And so, in addition to many other things, one of my main priorities is to immediately help them thrive by what we put (or don’t put) into their bodies. I believe in bone broth from a bottle. We do Cod Liver Oil, little “fishies” for Samarah and other things. I deny many foods and ingredients as a standard (I don’t buy them and keep in our house), but I do not forbid them indefinitely (ex. Samarah has treats at events, birthdays, etc.). The things I do might make me “annoying,” but these are my children and this is our choice. It is not a coincidence that at every single one of Samarah’s “high risk” follow-up appointments, the doctors continued to say that it didn’t seem real – how she grew normally and functioned like they couldn’t believe. 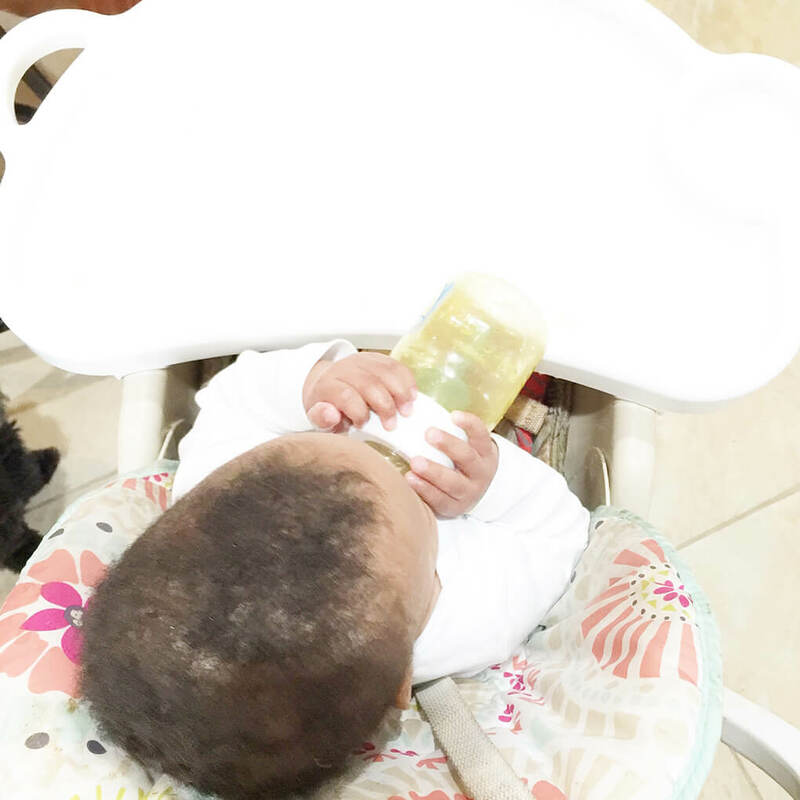 They would joke, “What are you feeding her?” And then I would tell them because I knew that was a major part of the progression. They were astounded, never heard of it. I do it because I believe in it with my whole heart. Remember, proactive not reactive. I lived most of my life in a reactive state, and I am not willing to do it for my children. It’s not easy, nor is it convenient. It requires extra work and sometimes a little creativity. But I want my little people to have the best chance at the best health, and I know that this is done primarily with what we feed our bodies. The mama name calling yesterday was pretty awesome. 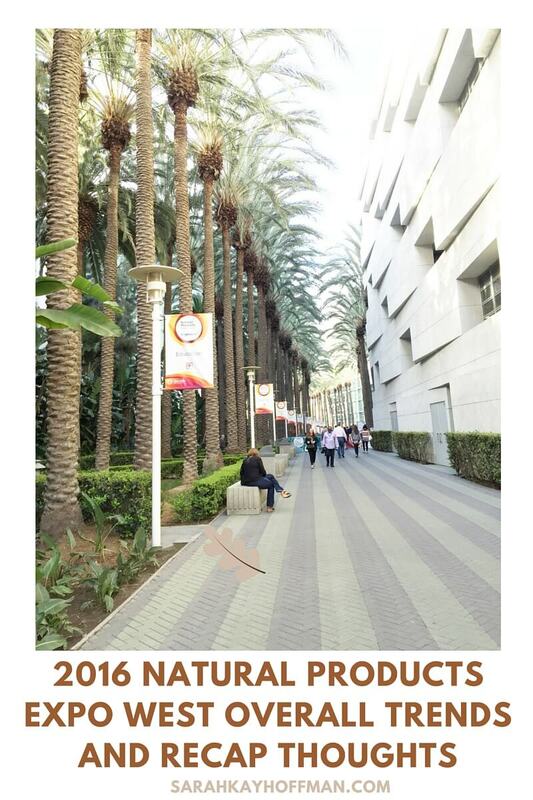 For the third year in a row, I am on the 2016 Natural Products Expo West Blogging Team. What this means is that not only do I have access to anything and everything at the show, but I will also be tasked with coming back after the show to share my top 3 overall picks. Anyone who is passionate about natural products and lifestyle attends this show. It is like Disneyland for those of us who share this common passion. Last year I was looking for more than just “natural,” and I found it, too! The year prior to that, in 2014, I picked my top 4 (vs. 3) favorites because I simply couldn’t narrow it down. I expect this year to be just as difficult. But what I’m doing this year vs. year’s past is researching prior to attending the show. The show is ginormous and there is no way on Earth to hit up everything. You must have a plan of attack for each and every single moment you’re there. My schedule is already fairly booked up (I’m going mostly with Nutiva because they are my jam), but with any free time I have every intention of being intentional for who I visit. My schedule is already fairly booked (I’m going mostly with Nutiva because they are my jam), but with any free time, I have every intention of being intentional for who I visit. 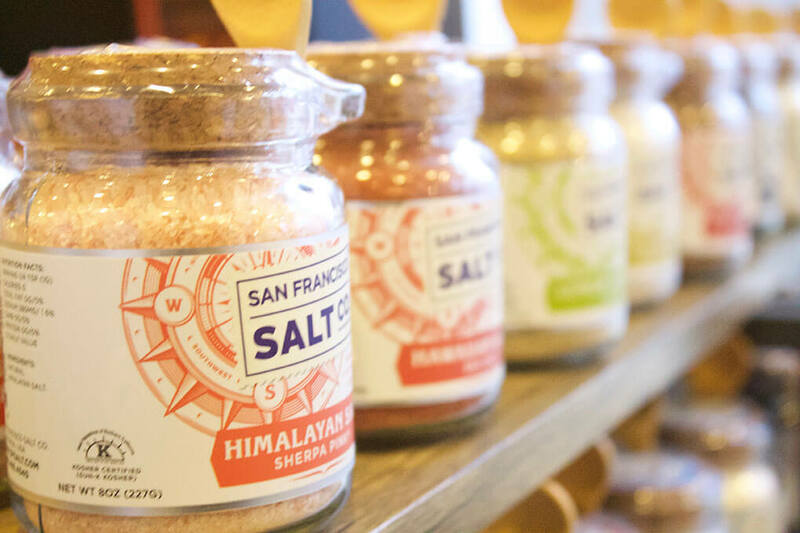 Expo West is filled with various categories, which include things like grocery, health & beauty, healthcare, herbs, natural home & textiles and more. I don’t know a lot about natural home & textiles, so I didn’t include it below, but I am hoping to explore this category more while there. What I do know about is the grocery category, so this is the largest list I have put together. I know less about baby, health & beauty so those are also shorter lists. You will find my hot list for each below. HERE is a list of all brands and companies who will be at Expo West in the Grocery Category. Is there any brand or company from the Grocery Category that you’d love me to check out for you? Comment below or contact me! 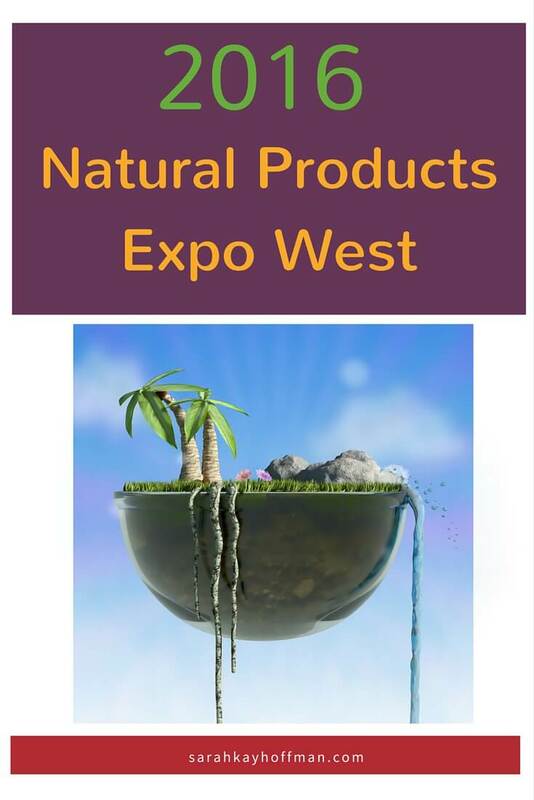 There isn’t a specific category for this, but there are many natural baby products each year at Expo West. Is there any baby brand or company that you’d love me to check out for you? Comment below or contact me! 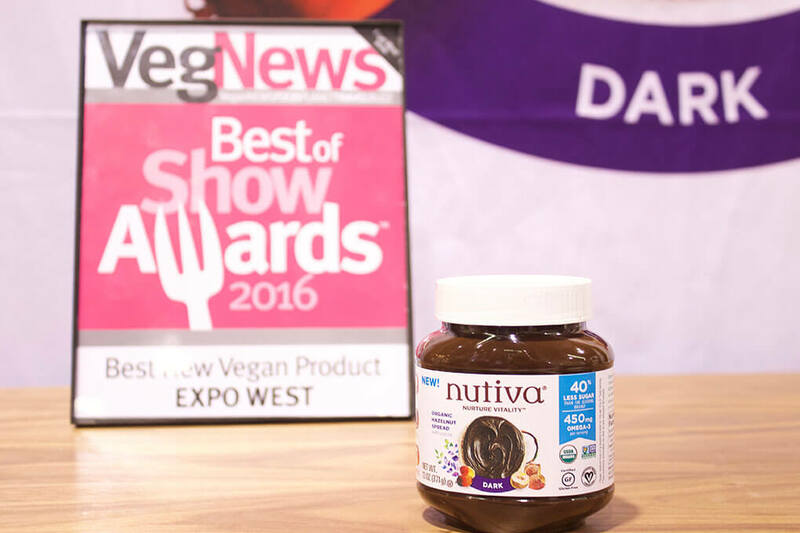 HERE is a list of all brands and companies who will be at Expo West in the Health & Beauty Category. Is there any brand or company from the Health & Beauty Category that you’d love me to check out for you? Comment below or contact me! Finally, I am on a mission to pull together images and descriptions of various mission-driven brands found in the Exhibit Hall. This is part of my task for the Expo, and I am super excited about doing this. At the end of the day, “natural” (to me) is really only that if the business doesn’t stand on a strong mission or demonstrate a clear purpose. There are over 2,500 booths at the event so I’m hoping to find, and report back on many more. p.s. Will you be there?! Moringa is one of the things I added when healing my perioral dermatitis naturally. 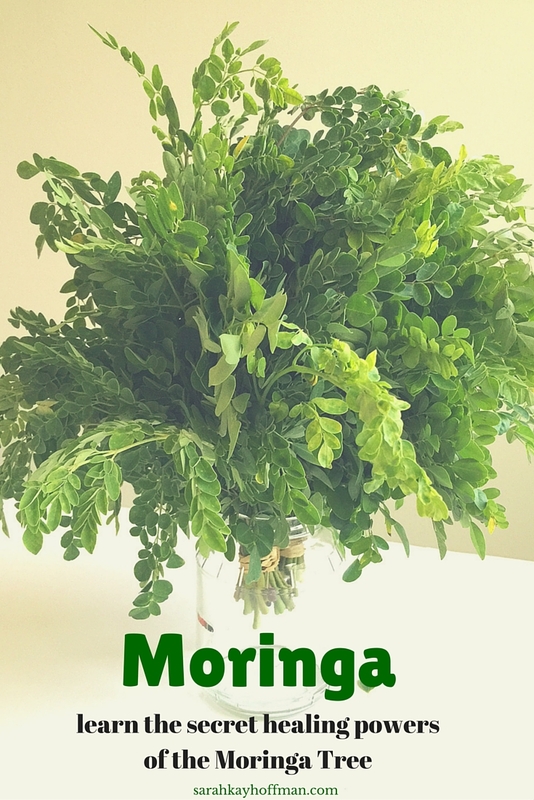 I was first introduced to Moringa in the summer of 2014. From April – November, we go to our local Farmers’ Market every single Saturday. Opening day is like Christmas, closing day like a funeral. We love our daily Saturday ritual there because we know so many of the farmers now, and we love knowing where our food comes from. 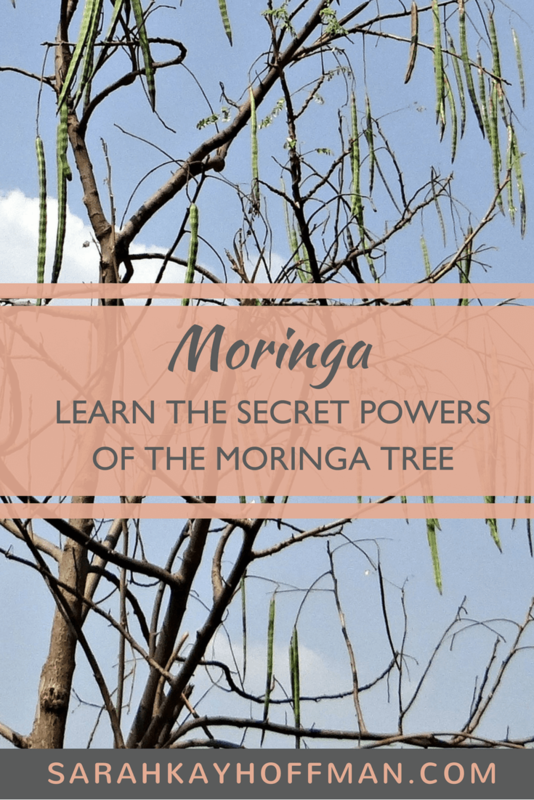 It didn’t take long before I began thinking about how I needed Moringa in my life. Shortly after, I returned, bought a bunch of Moringa and I have never looked back. 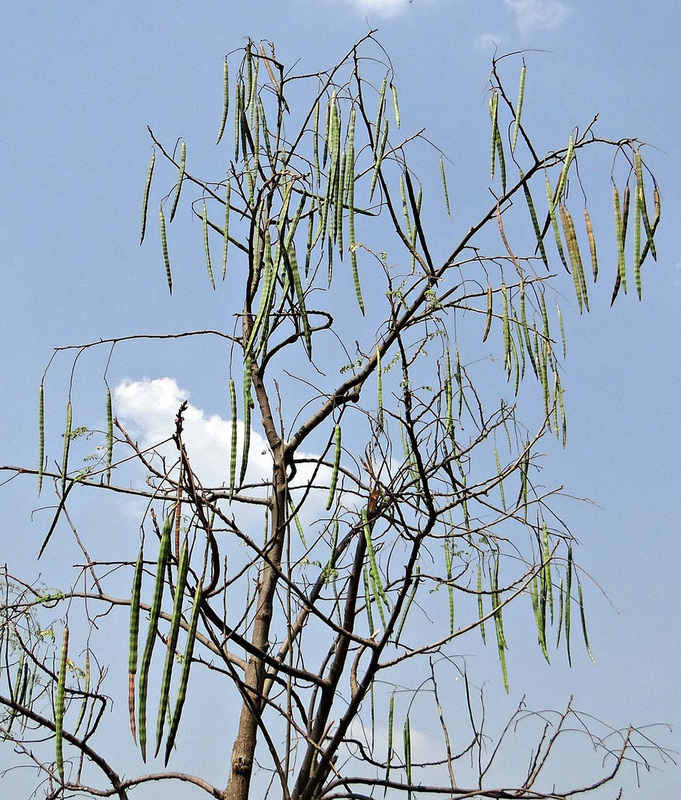 Every part of the Moringa Tree is edible. Its contains pods, leaves, seeds and roots. 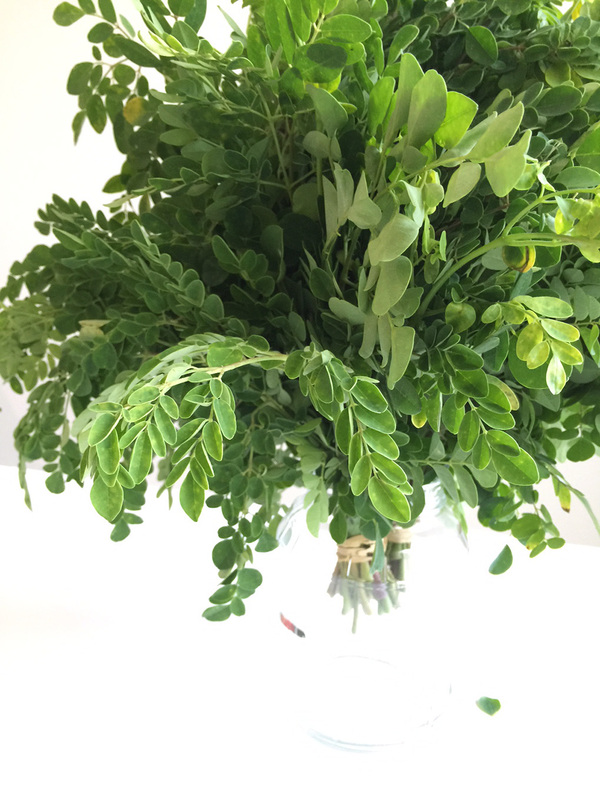 What Do You Do With Moringa? They will dry out pretty well about 1.5-2 weeks later. Crunch the leaves of the stems, and place into a grinder. Sprinkle liberally over anything and everything. I realize that not everyone can make their own Moringa powder. It’s widely available to purchase today. I like THIS Moringa and THIS Moringa. I was slacking for a few months with my daily Moringa use, but I started up with full force again. Yesterday I made some of my amazing bread and threw a ton of Moringa in the “batter.” I also sprinkled it over my jumbo salad and added it to my chia pudding mixture. p.s. 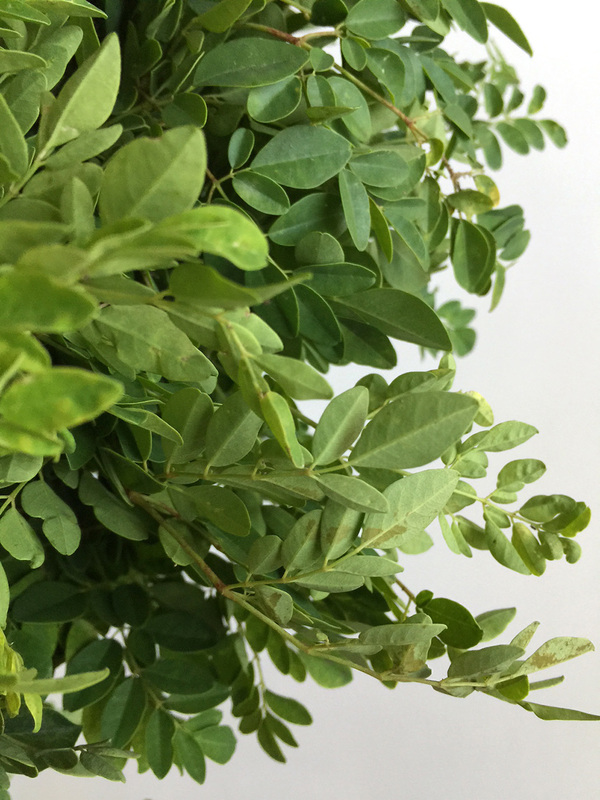 Moringa is a plant, but because of how I use it, I think of it like an herb. I’ve loved herbs and spices for a very long time. I use them in hundreds of ways. I have a Pinterest Board dedicated to them.